Guess who has their SeaLife back in their hands? This girl! I won’t bore you with the details, but let me sum up my experience in three sentences. Initial customer service contact was a little shaky. After all was said and done, and the camera was in their hands, their communication was fantastic. They handled the situation beyond my expectations and have gained a customer for life. 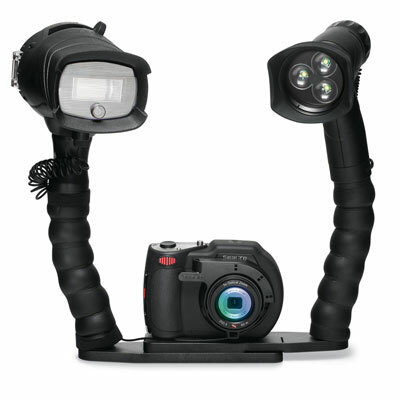 If you’re unsure about what camera to purchase for your underwater adventures, take a close look at SeaLife. Their camera takes great pictures and their customer service is great. Posted in Equipment.Tagged Customer Service, Dive, Diver, Diving, GoPro, Ocean, Photography, Scuba, Scuba Diving, SeaLife, Underwater, Video. Thanks for visiting my site. Glad you found it. I will begin to follow you. My experience is just starting. So far there is a lot to keep track of and I am fortunate to have some experienced divers to watch out for me. Photography is my hobby. So underwater photography is an extension. Nothing is more nerve racking than closing the waterproof housing and jumping into the water. I have fried two cameras previously. Taking a chance with a Canon G11 (after considerable expense for housing and camera) made me pause. Two dives and there’s a lot to learn. But I have been pleased with the initial results. Your blog was extremely helpful; so glad I came across this before buying a GoPro! Thank you!